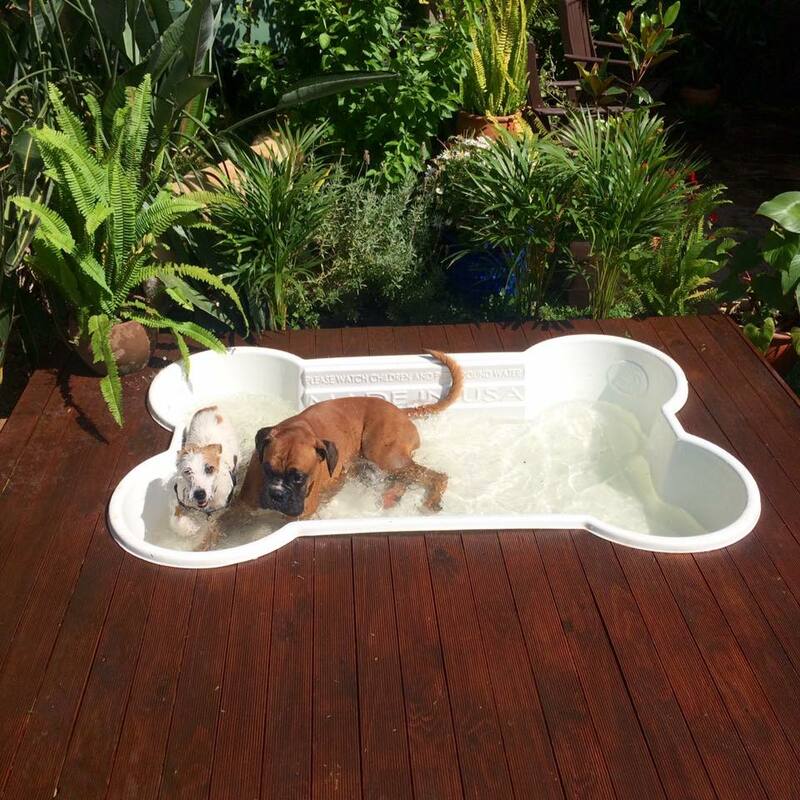 We are the exclusive Australian distributor of the brilliant 'One Dog One Bone' dog pools. Does your tiny clam shell sandpit only fit half your dog? Did it turn brittle and present a choking hazard? Has it turned out your PVC pool is not really claw-proof? The 'One Dog One Bone' premium, long lasting and great-looking dog pools will allow your dog to have FUN, lie down stretched out, fully submerge to cool off, and play like a crazy puppy in the water! Our bone-shaped dog pools are built specifically for dogs. They're UV and chew resistant, and will provide years of enjoyment. Buy a dog pool HERE.